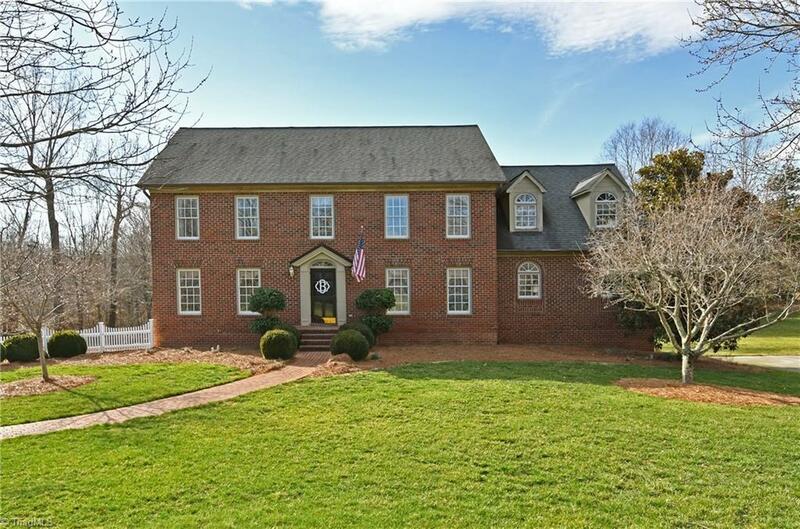 Gorgeous one owner custom built home in Waterford-Clemmons! Striking brick Colonial defines character & quality. Excellent space & generous room sizes make this house perfect for a growing family! 5 BRs, 4 baths including main level guest suite. Stunning finished basement w/brick paver floor, full bath & fireplace! Idyllic setting on one of the neighborhood's best home sites-exquisite screened porch overlooks flat, private, wooded yard. Located in the heart of the neighborhood-a short walk from the pool!